A self-proclaimed “Democratic socialist,” Ocasio-Cortez also called herself a “radical” in the mold of former Presidents Abraham Lincoln and Franklin Roosevelt. She also minimized the many apparent factual errors that she has made in her social media communications. The congresswoman has drawn historical parallels that would seem to be without any foundation to many, or are at least dubious — such as her insistence that member of the migrant caravan resemble Jewish refugees of the Nazi Holocaust or that Jesus and his earthly family can be compared to refugees trying to flee to America. For Ocasio-Cortez, it’s not so much about facts but assumed morality: “I think that there’s a lot of people more concerned about being precisely, factually and semantically correct than about being morally right,” she said in the interview. When asked if her political agenda makes her a “radical,” she concurred. 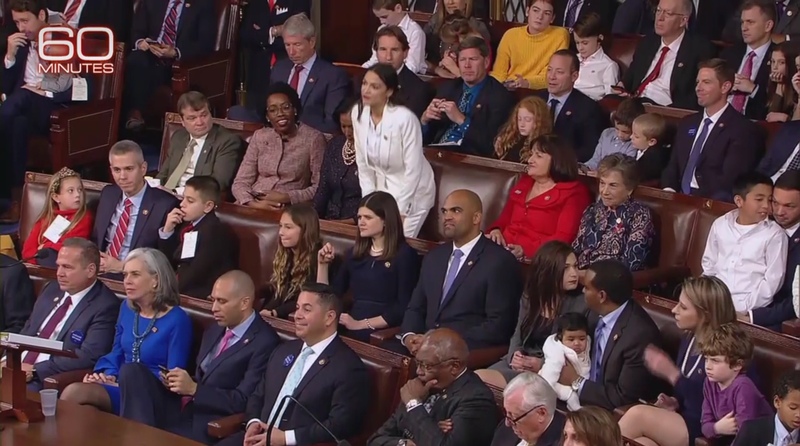 Ocasio-Cortez also spent considerable time defending her support of the “Green New Deal” framework that aims to spend in the style of the Great Society to combat climate change. She wants to raise taxes on the wealthiest Americans to 70 percent to achieve her political objectives.